Omarosa worked in the Clinton White House long before she worked for Trump. Here's everything you need to know about her career. 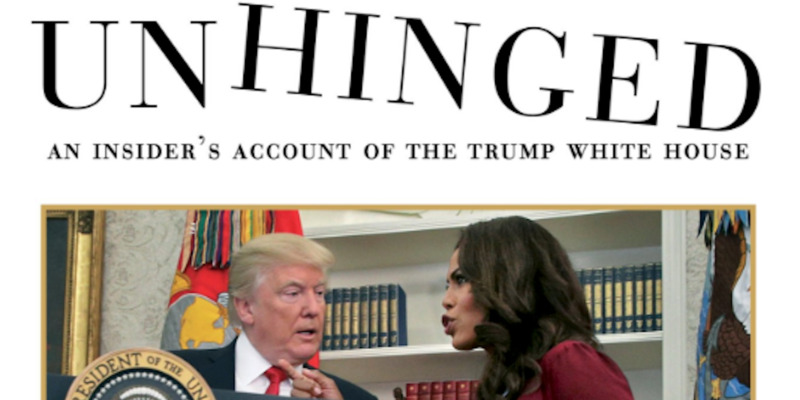 Gallery BooksOmarosa’s White House memoir, ‘Unhinged,’ is due on Tuesday. 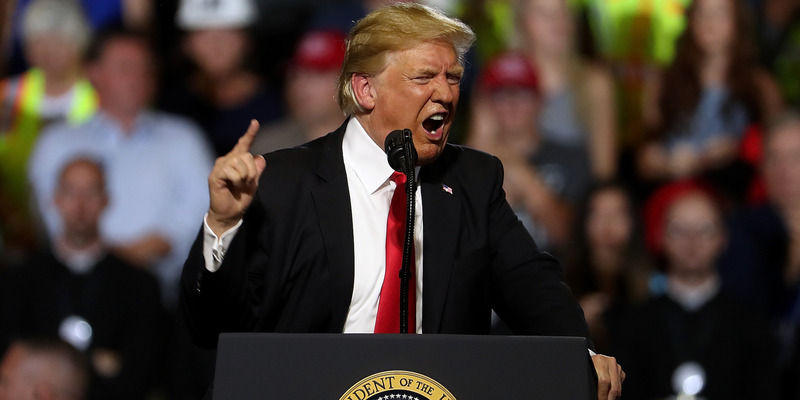 In the book, she recounts her alleged experiences inside the Trump administration and campaign, making startling claims that include an accusation she heard a recording of Trump saying a racial slur. But the Trump administration is fighting back, with the president leading the charge by downplaying her credibility and calling her names on Twitter. The relationship between the two former reality TV stars – Trump was the host of NBC’s “The Apprentice” while Omarosa was a contestant – was not always strained. Even in a phone call between Trump and Omarosa shortly after her ouster from the White House, the two appeared to share a compassionate moment with Trump offering his condolences. “Damn it, I don’t love you leaving at all,” Trump appeared to say on a secretly recorded phone call from Omarosa. Omarosa Manigault-Newman was involved in politics long before Donald Trump’s presidency. 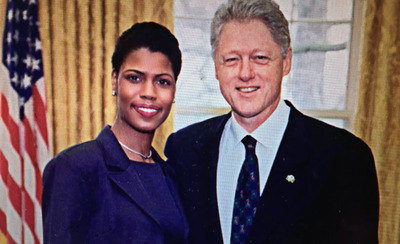 The PreachersOmarosa Manigault-Newman poses with President Bill Clinton. Omarosa held various roles in government during the Clinton administration. She answered invitations for Vice President Al Gore and eventually landed a job with the Department of Commerce. Her former colleagues described her tenure as rocky, including Cheryl Shavers, the former Under Secretary for Technology at the Commerce Department, who said that “she was asked to leave as quickly as possible, she was so disruptive,” according to People. “One woman wanted to slug her,” Shavers said. 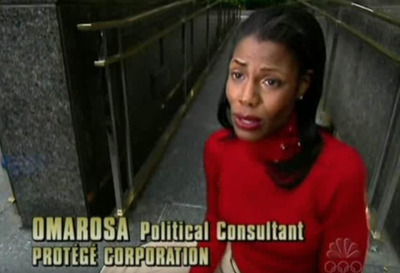 Omarosa made her primetime debut on NBC’s “The Apprentice” in 2004. 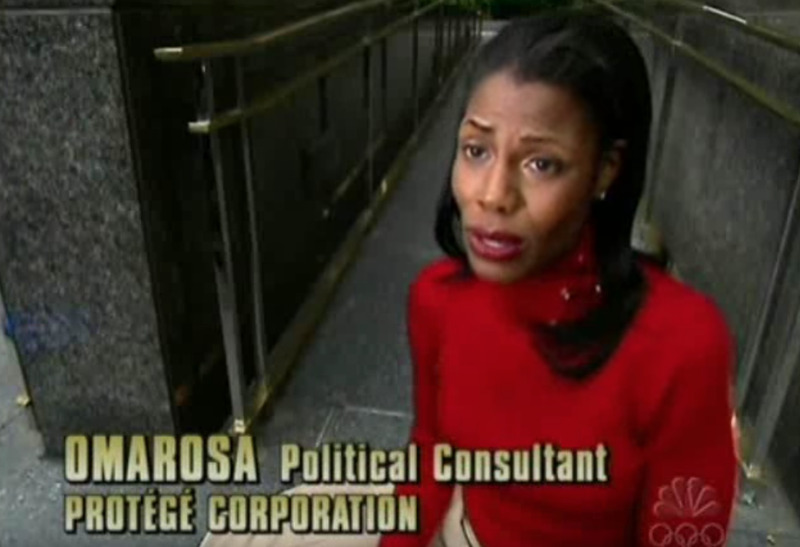 NBCOmarosa Manigault-Newman appears on NBC’s ‘The Apprentice’ during its first season in 2004. She was eliminated from the show by Trump in Week 9 of the first season. Omarosa continued to make appearances in various “Apprentice” spinoffs. She also starred in her own show “The Ultimate Merger,” in which 12 men, selected by Donald Trump, competed against each other for her favour. Omarosa dipped into politics again in 2015, helping Trump organise meetings with prominent black pastors. Omarosa was later appointed as the vice-chair of the National Diversity Coalition for Trump. She landed a formal role with the Trump campaign as its director of African-American outreach in July 2015, and eventually became a member of his transition team after Trump was elected president. After Trump officially assumed office, Omarosa became the communications director for the Office of the Pubic Liaison. Her tenure in the Trump administration was marked with heated exchanges with other people, including April Ryan, a veteran White House correspondent and a reporter with American Urban Radio Networks. During a testy exchange with Omarosa near the Oval Office, Ryan said she felt “physically intimidated” by her. Ryan accused Omarosa of saying she was included in supposed White House “dossiers” of negative information on several journalists. “She stood right in my face like she was going to hit me,” Ryan said in The Washington Post. Omarosa denied that she had threatened Ryan and also accused her of hurling insults. Trump appointed the former four-star Marine Corps General John Kelly to be White House chief of staff, which ultimately signalled the beginning of Omarosa’s departure. In a White House that was teeming with embarrassing leaks, Kelly began regulating the staffers’s facetime with the president and attempted to limit the scores of unflattering news reports. Omarosa’s reportedly unfettered access to Trump was curtailed and that set the stage for a more explosive encounter in the weeks ahead. Kelly fired Omarosa in January. Multiple news reports recounted a less-than-amicable departure, with some suggesting she was forcibly escorted off the White House grounds. April Ryan, the reporter from American Urban Radio Networks who previously had an altercation with her, said sources told her that Omarosa used vulgar language towards Kelly and “tried to get in” Trump’s residence. 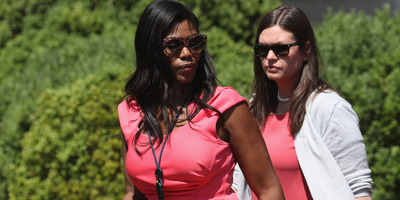 Mark Wilson/Getty ImagesOmarosa Manigault-Newman and White House press secretary Sarah Huckabee Sanders. 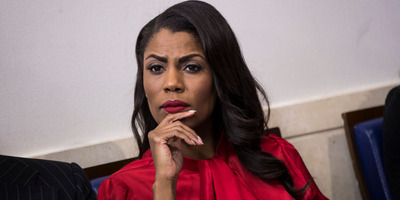 At the time, Omarosa disputed reports that she was fired. However, in a secretly recorded conversation between Omarosa and Kelly inside the Situation Room, the chief of staff indicated she was being let go. Omarosa later described the conversation as a veiled threat that if she did not leave, her future career might be in jeopardy. Drew Angerer/Getty ImagesOmarosa Manigault in the White House briefing room. Omarosa conducted several interviews and made reality TV show appearances after she was booted from the White House. 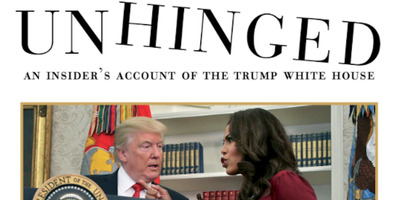 In July, publishing company Gallery Books announced she would be releasing the tell-all book, “Unhinged: An Insider’s Account of the White House,” in August. “Omarosa is finally ready to share her side of the story in this explosive, jaw-dropping account,” the company said. Omarosa unleashes fire and fury. In the days leading up to her book’s release, Omarosa teased several audio tapes of her secretly recorded conversations with Trump’s campaign and White House staffers. Trump and his surrogates fire back. The White House and Trump’s surrogates countered Omarosa’s claims with their own media blitz. Other Trump associates who were implicated in the secret recordings took swings at their former colleague, calling her “a dog with a bone” and downplayed her claims of having heard a recording of Trump saying racially insensitive remarks. Katrina Pierson, a Trump campaign official, admitted Omarosa mentioned the tape’s alleged existence in multiple conversations, but said she was forced to “placate” her “obsession” by looking into the claim. Former campaign aide and regional director at the Department of Housing and Urban Development Lynne Patton echoed Pierson’s remarks. Trump’s presidential campaign also filed arbitration proceedings in light of her book, claiming she breached a nondisclosure agreement for her role in the White House. Following the White House’s denials, Omarosa stood her ground, saying she “will not be silenced” by Trump.